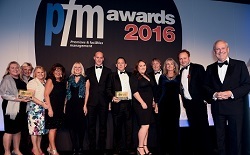 A glittering black-tie event, the PFM Awards ceremony and dinner is attended by all the finalists and their clients and industry guests, there to applaud the finalists and winners of these highly respected Awards. 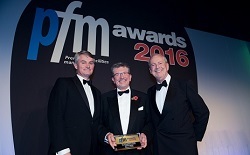 The PFM Awards ceremony is recognised as a highlight on the FM calendar, and is an outstanding opportunity to network with an exclusive club including some of the smartest minds in the sector, and facilities managers, service providers and property professionals from across the public and private sectors. Guests at this event enjoy an all-inclusive PFM Awards evening: a champagne reception, a quality three-course meal with unlimited wine and other alcoholic (or non-alcoholic) drinks – and networking opportunities – available throughout the evening. 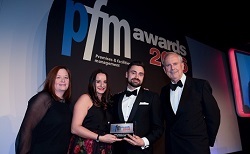 To be involved in this unique industry event, ensure you join the PFM Awards mailing list by submitting your address below.